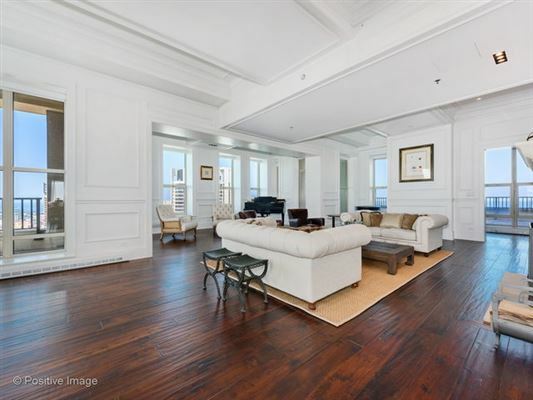 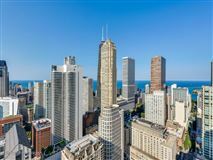 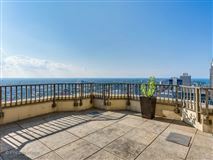 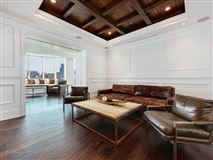 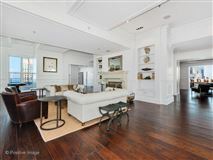 Full floor, true penthouse unit at the Fordham! 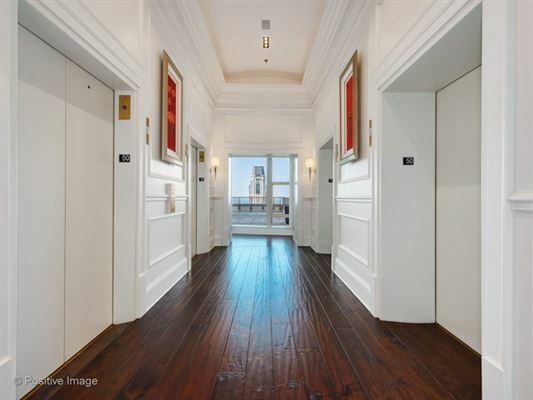 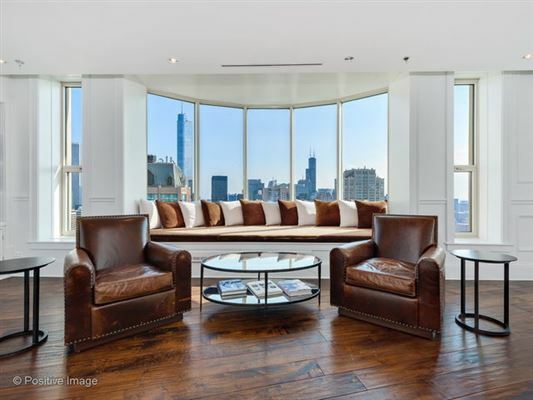 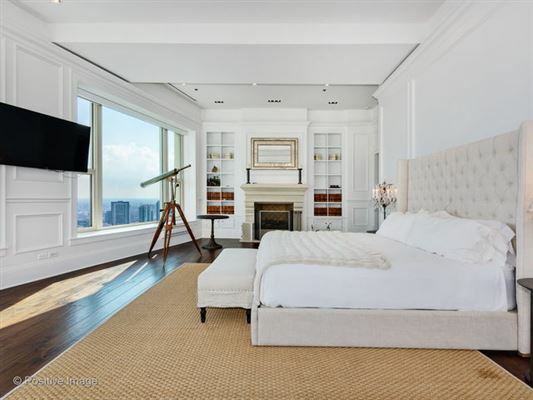 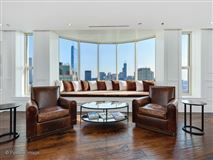 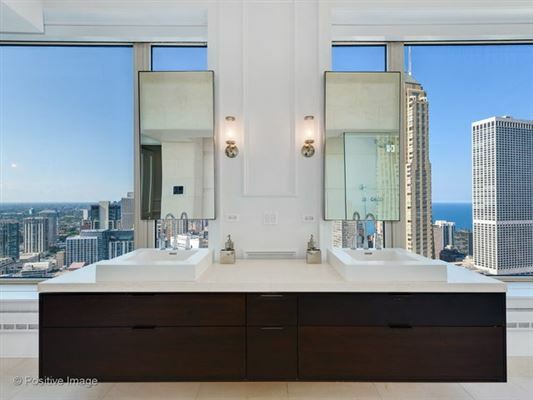 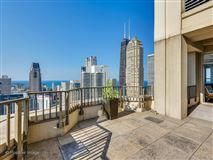 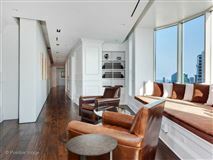 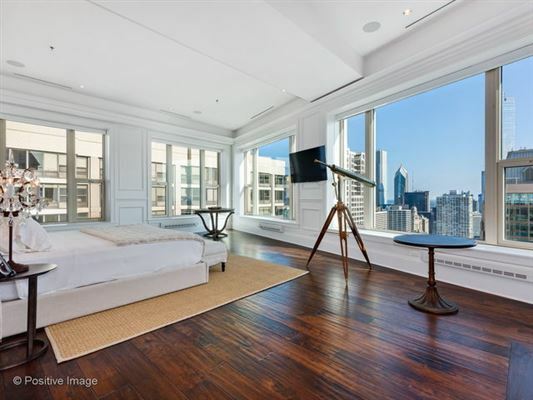 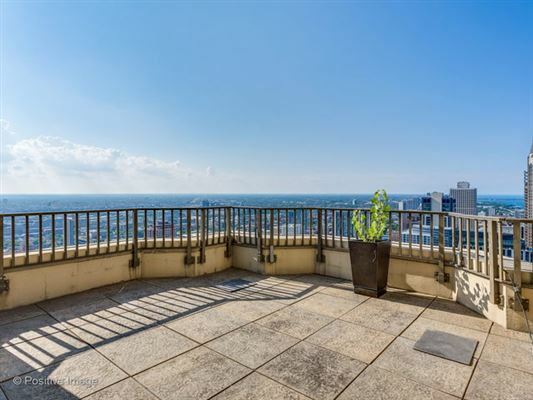 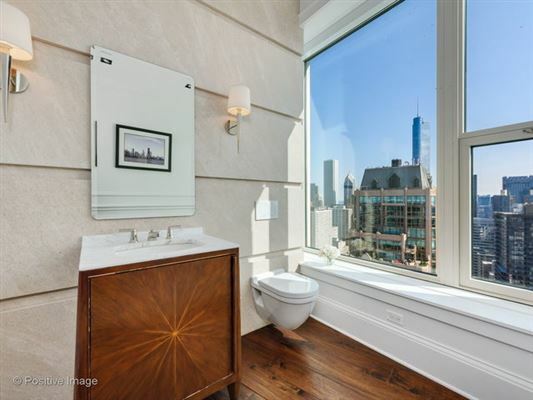 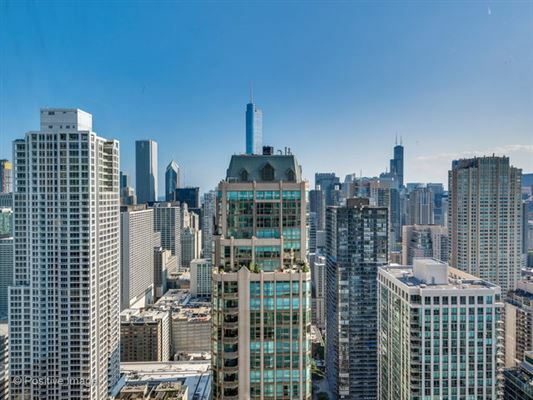 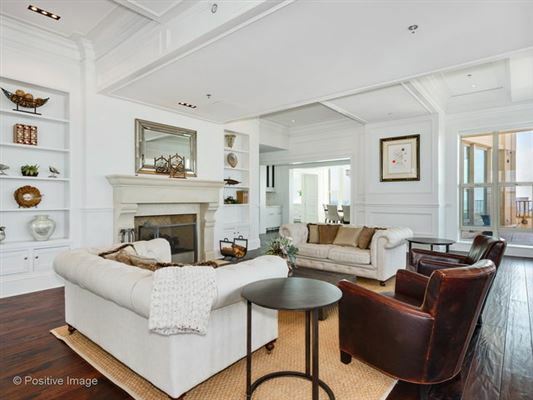 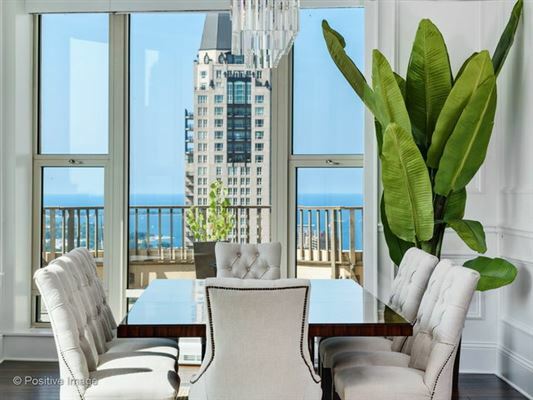 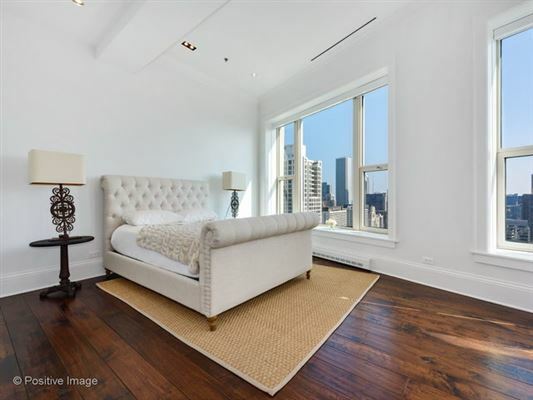 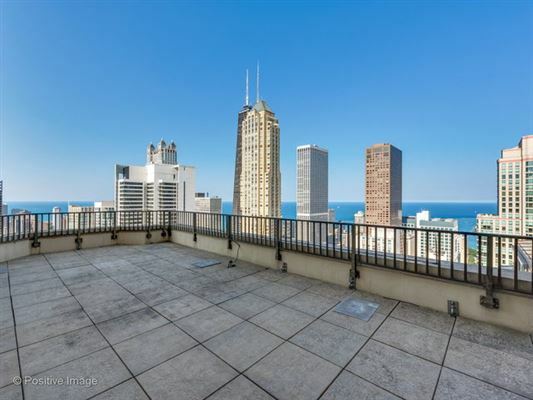 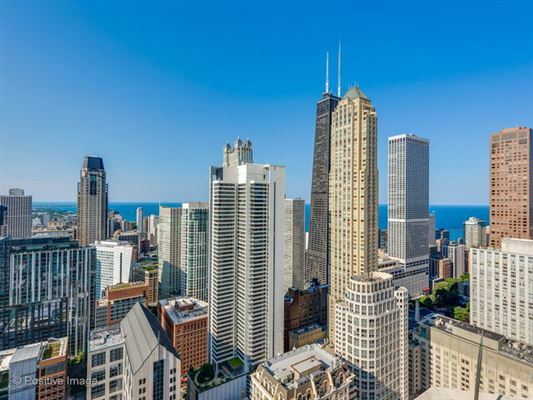 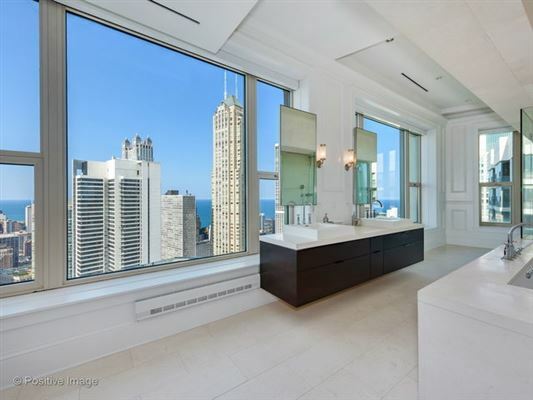 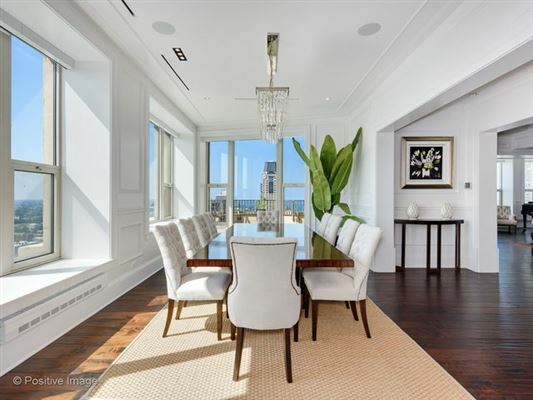 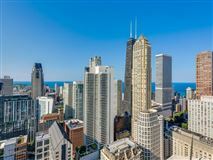 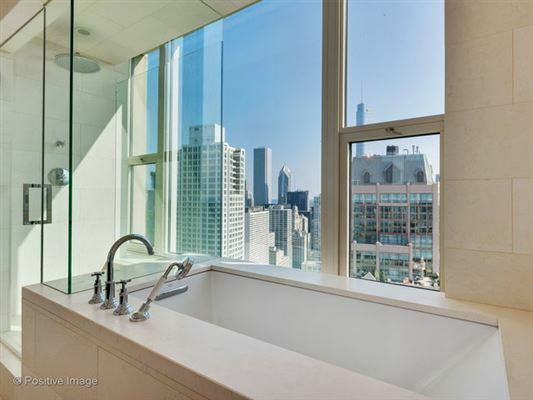 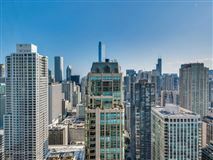 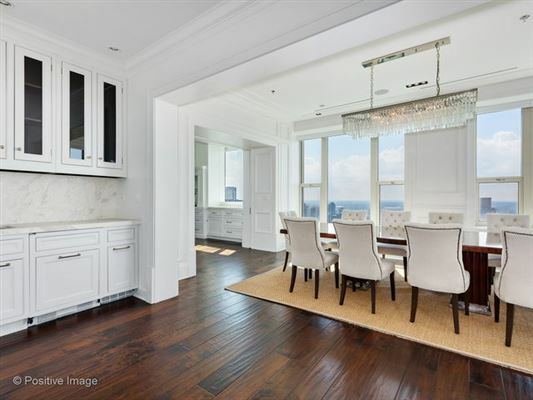 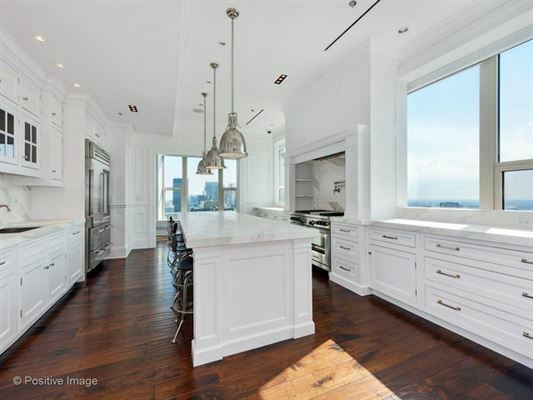 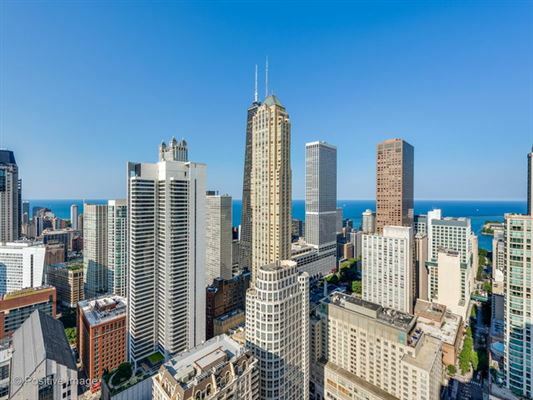 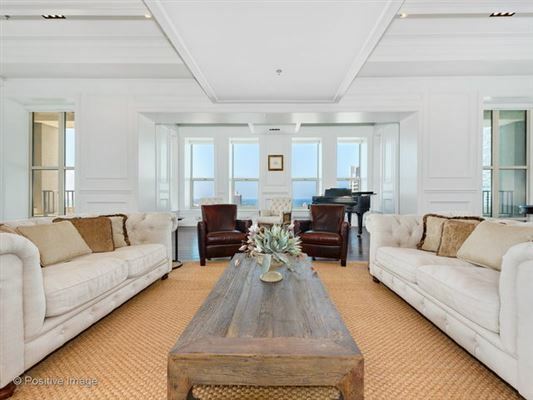 This expansive home offers 360-degree views over Chicago including two large private terraces and nearly 6500 square feet. 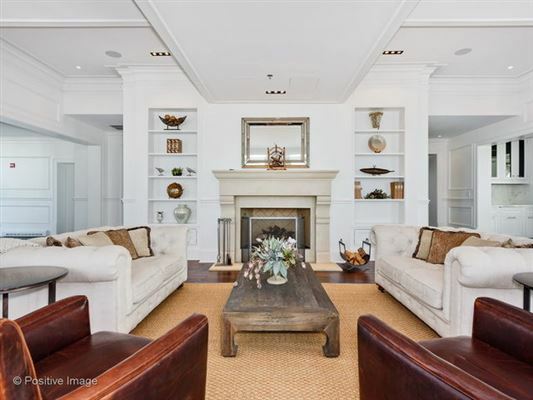 Great for entertaining, the entire west end of the home is devoted to the public space with a gorgeous chef's kitchen, gracious living and dining rooms, plus a separate den/media room. 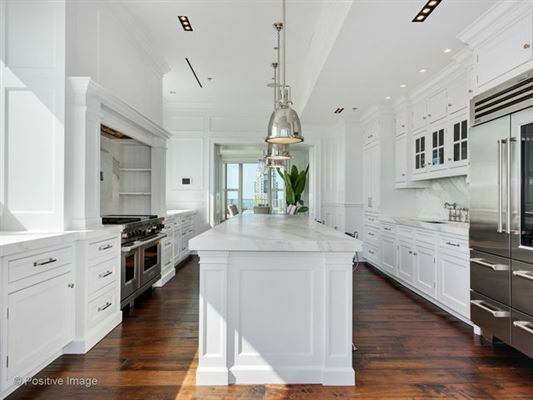 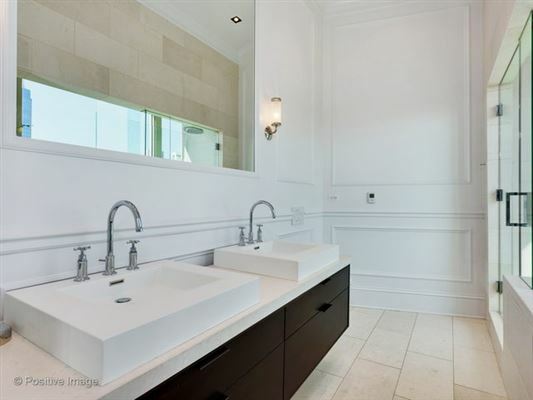 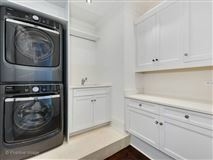 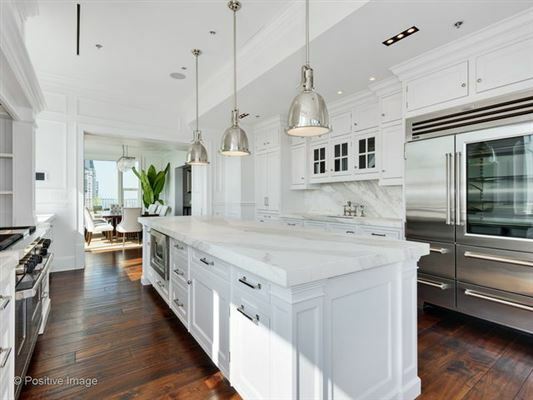 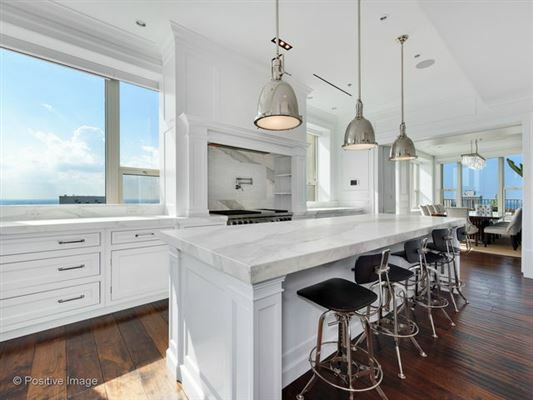 The completely custom kitchen offers marble countertops, all high-end appliances, and large island with breakfast bar. 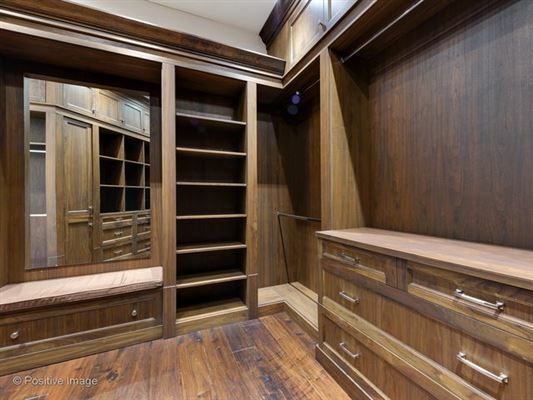 The huge master suite takes up the entire east side of the home. 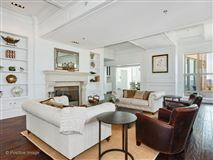 There is a spacious bedroom with south and east views, two walk-in closets, two water closets, and a very large bathroom with soaking tub, double shower, and double sinks. Two additional ensuite bedrooms with fabulous southern views. 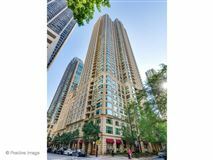 A private 2.5 car garage in the prime lower level garage is included. 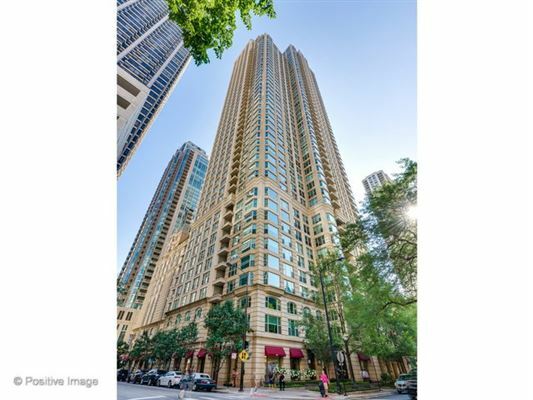 Full amenity building with gym, indoor pool, and wine storage. The Fordham is in a fabulous, walk to it all location near shopping and dining on Michigan Ave, the lake, and so much more!